Every team needs a solid goalkeeper in front of the woodwork. To help you decide on the very best for your team, we've made a list of the absolute best goalkeepers in the FIFA 19. 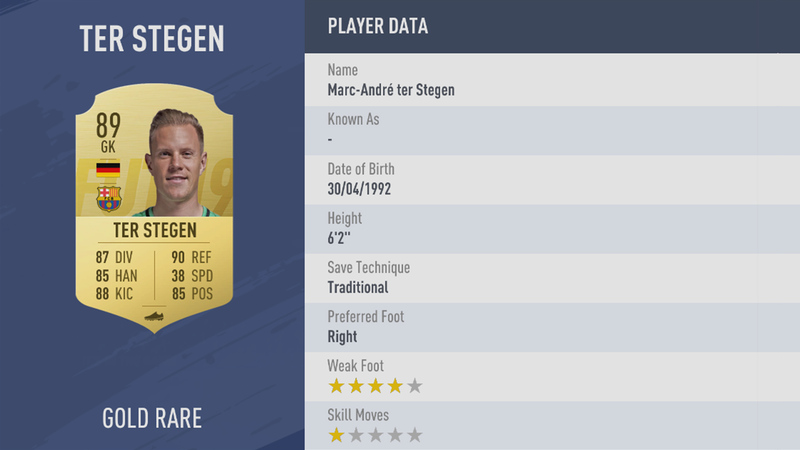 Great GKs tend to have high Dive, reflex and Speed ratings, so you'll see high stats all around here. 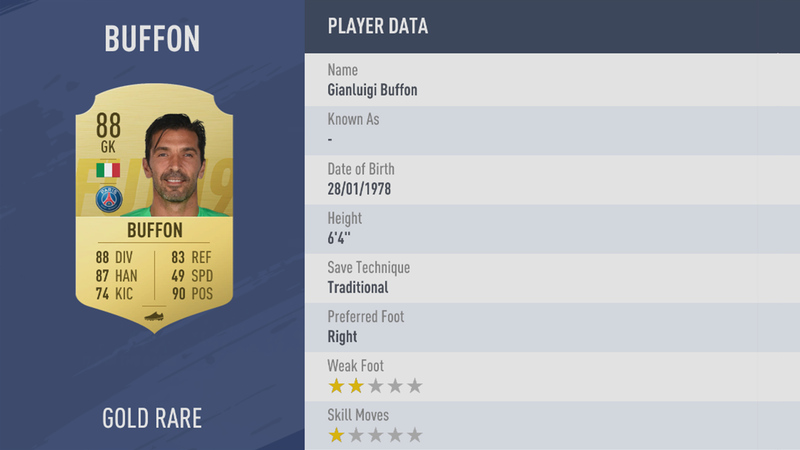 In this FIFA 19 Best GK Guide, you can easily find out who sits on top as FIFA 19's best goalkeeper, and keep an eye out for them on the transfer market. For more on FIFA 19, be sure to check out our FIFA 19 Guides Hub. 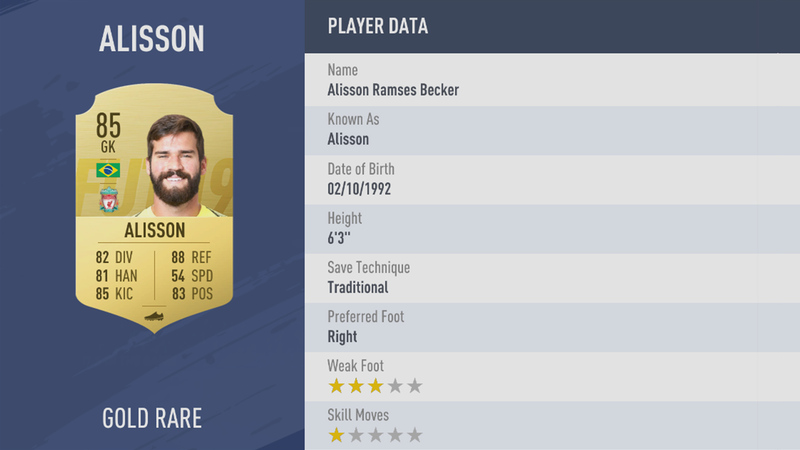 It’s got info on FIFA 19, and breakdowns of all of the new features that FIFA 19 adds to the series. We’ve listed the very best goalkeepers in FIFa 19 below. You’ll be able to check out the stats for each one, and we’ll be sure to order them from worst to best (though they’re all pretty great anyway). So there you have it, David De Gea is the best GK in FIFA 19. 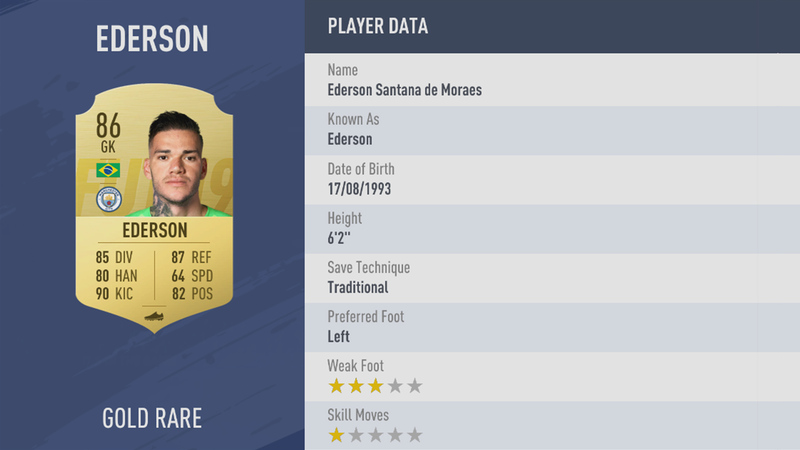 He'll be pretty expensive though, so be sure to check out some other names on the list as well.